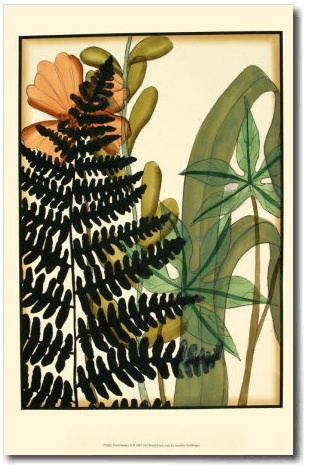 I was flipping back through my Evernote files trying to organize things when I came upon this fern print. I realized I never finished my exploration of using ferns. 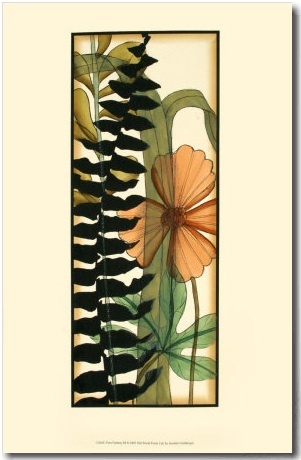 This series caught my eye because of the subtle shades of color used. I love the composition and the use of the silhouette. These designs are created by Jennifer Goldberger. 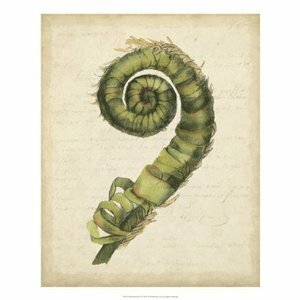 She has a series of similar prints on art.com which is a site for affordable art prints. She also has a closeup series available through Amazon.